Fluid-o-tech® rotary vane pumps also sold under brand Rotoflow® are volumteric pumps designed for pumping water and moderat agresive fluids with low flow at high pressure. Pump housing is made of brass with stainless steel rotor, while vanes are in carbon graphite. Inlet and outlet ports are 3/8". 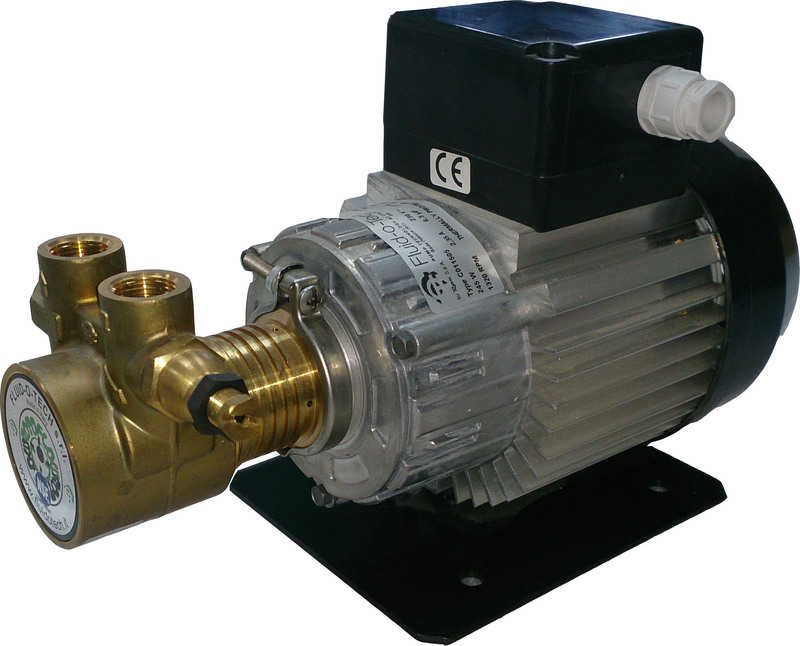 Pumps are made to be directly mounted on motor with clamp.